It’s a quick, easy change that has a huge impact on a bathroom. 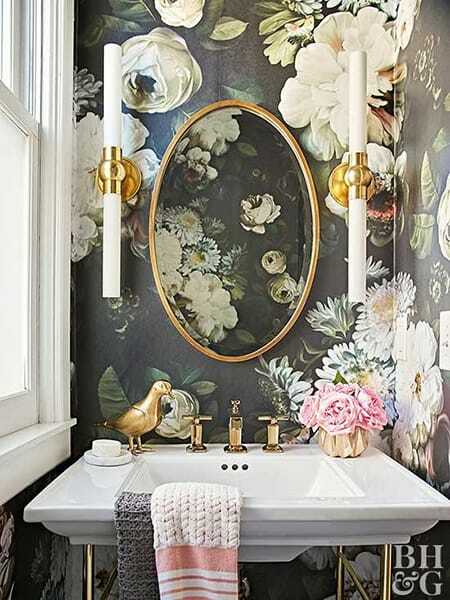 Adding wallpaper to even one small wall or section of the bathroom will elevate the style and transform the entire space. It looks amazing in a small powder bath or even a large master suite. Plus, because there are so many options on the market, you can do something truly customized and spectacular. 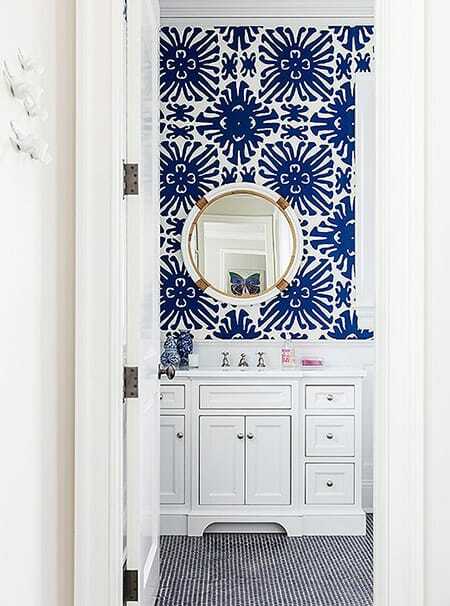 Here are 10 examples of bathrooms with wallpaper to give you some ideas and inspiration. 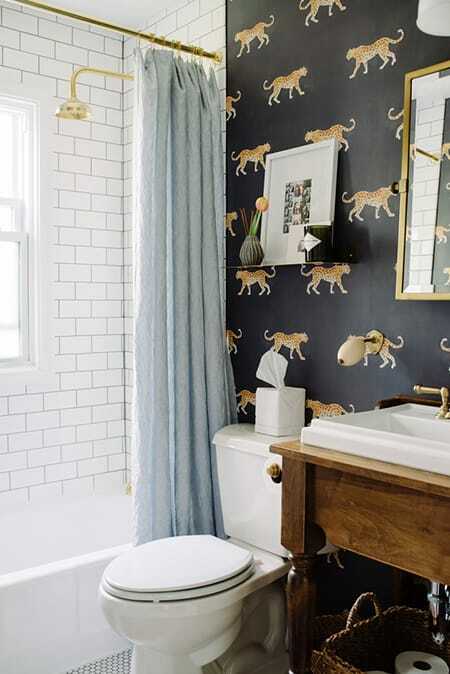 A black wallpaper with a cheetah pattern adds an ultra chic flair to this bathroom. The dramatic pop of navy blue in a beautiful pattern instantly catches your eye. 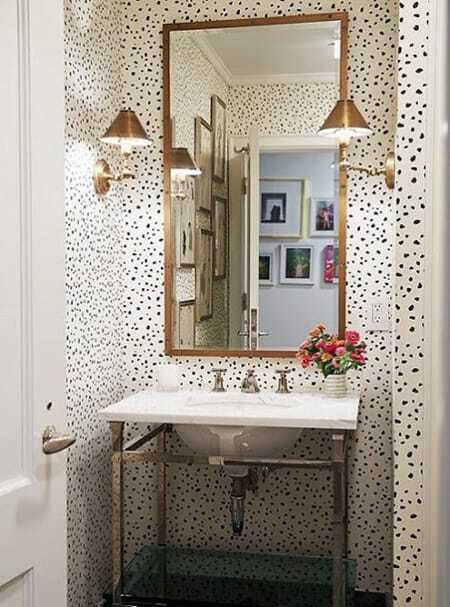 There is something so fashionable and chic about black and white spotted wallpaper. A large print floral wallpaper makes you feel like you’re walking through a garden in this small space. The grey and white pattern is subtle yet captivating for an elegant approach. 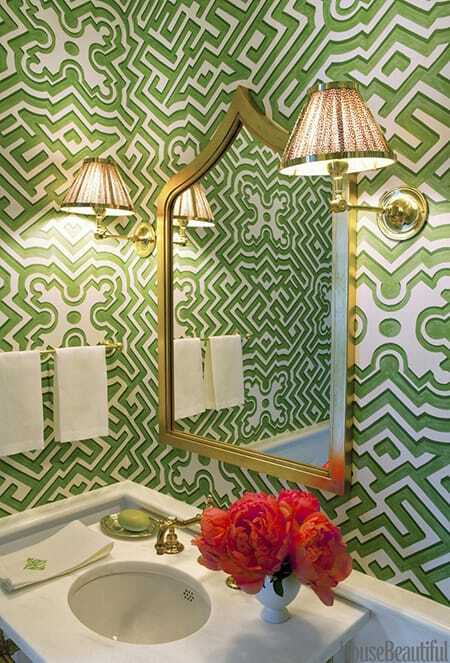 The green maze-like pattern on this wallpaper is chic and eye-catching. 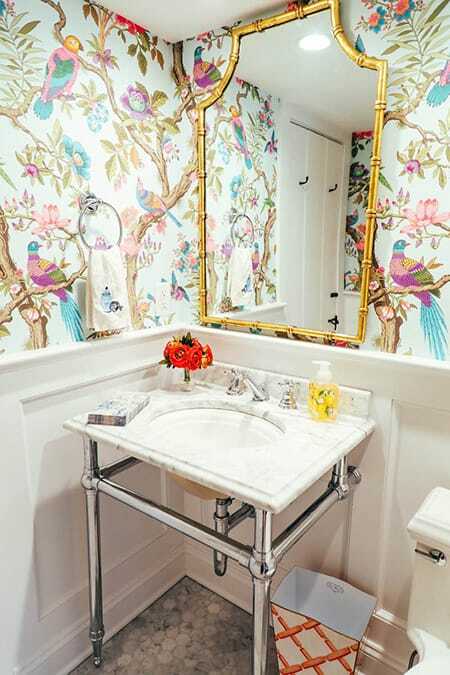 A lovely, colorful chinoiserie pattern brings a sophisticated, vintage touch to the space. 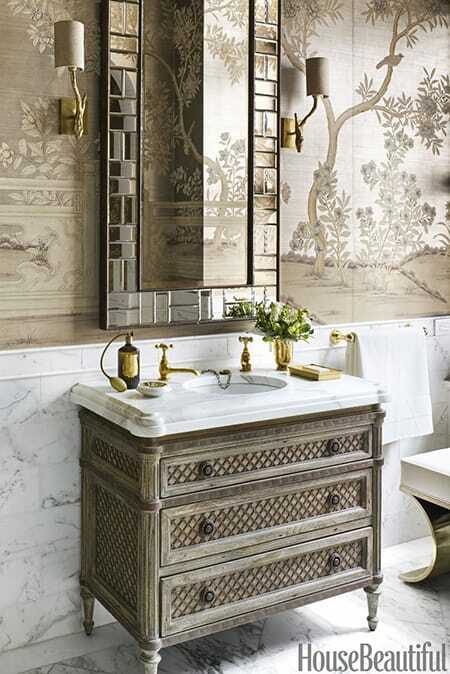 Though this bathroom is completely neutral, the patterns and textures bring it to life. 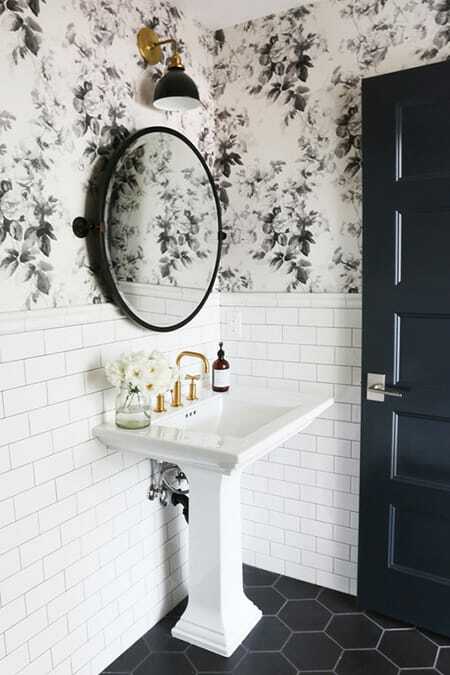 A black and white floral wallpaper is unexpected with a subtle vintage flair. 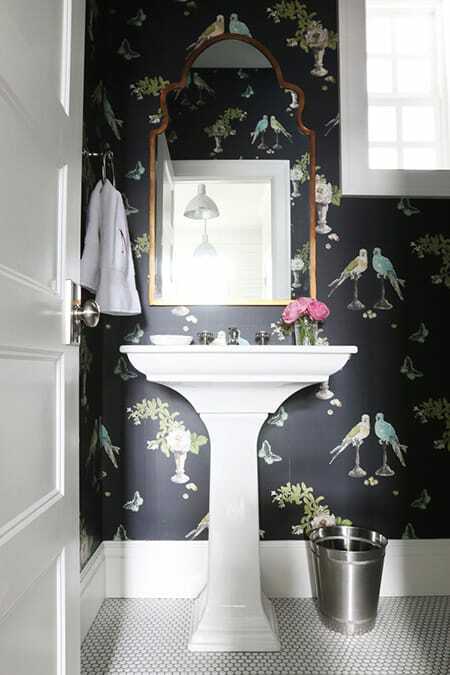 How charming is this black wallpaper with a bird and floral motif? 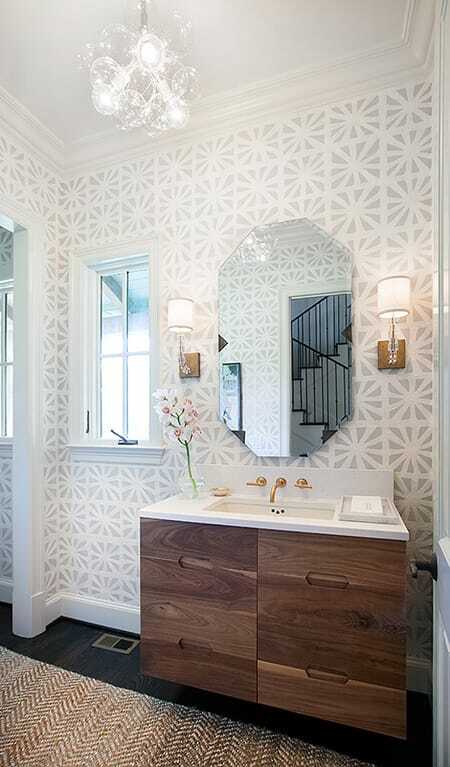 Wallpaper is a great way to give a bathroom, large or small, that extra “wow” factor.